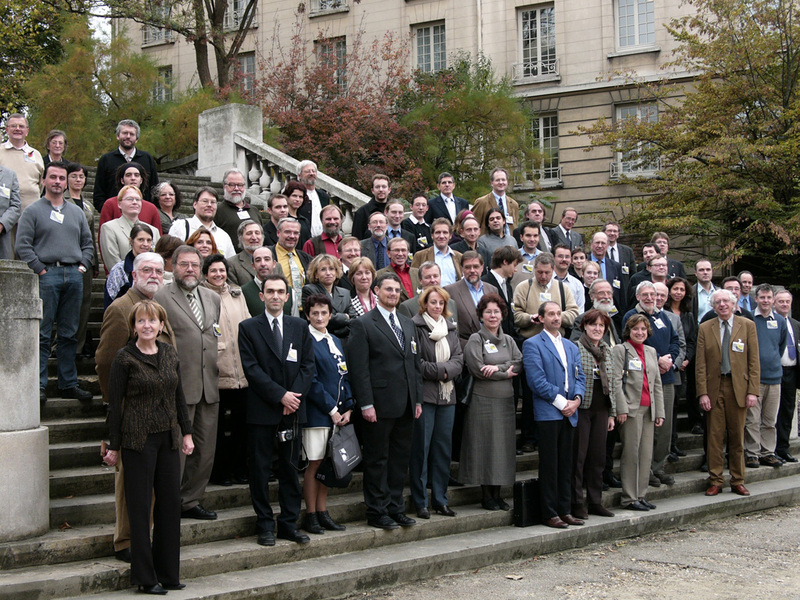 On November 5-7, 2004, the Venus Transit Experience conference took place at the French Ministry of Research in Paris. The meeting, which was mostly organised by staff of the IMCCE and the Observatoire de Paris, with Jean-Eudes Arlot and William Thuillot at the helm, brought together more than 150 persons connected to the VT-2004 programme. The aim was to sum up the vast experience gained through this unique public education programme and, in particular, to perform an evaluation of its many components. On the first day of the meeting, more than 50 students from the Paris areas who participated actively in this programme were also present. The meeting was opened by the Directrice de la Recherche, Mme Elisabeth Giacobino, on behalf of the French Minister of Research, as well as Mr. Bernard Leroy, from the CNRS, on behalf of the Director General of National Institute of the Sciences of the Universe (INSU, CNRS). Following an overview of the VT-2004 programme with the presentation of some of the highlights, a lecture by famous astrophysicist and populariser Hubert Reeves on "Humanity and Astronomy" placed the associated themes into a larger perspective. They were succeeded by the showing of the ten Laureates Videos during which the participants accorded by their vote a "Prix du Public" to the Video " ... 121 ans apres " made by a team of Belgian students, Audrey Coeckelberghs and Aurore Genicq . 1st Prize: " The Venus Transit in the Golden Valley " by Matthews Biggs, James Hendry , and Louisa Llewellyn , (Herefordshire, UK). 3rd Prize: "Millenium Transit" by Piotr Majewski and Jerzy Rafalski (Torun, Poland). The Jury, in agreement with ESO, and in recognition of the excellent quality of all three winning videos decided to award all three teams a trip to Paranal, a gesture that was received with much emotion by all. On the second day of the conference, reports were given by experts in several areas e.g. primary and secondary schools, media, amateur astronomers, which demonstrated the imminent success of the entire effort but also served to identify some areas in which experience was gained that could become useful for future projects of this kind. The National Committees, either orally or by posters, documented in a comprehensive way the individual approaches taken in different regions and cultural environments. On the last day of the meeting, representatives of the National Nodes met with the International Steering Committee members to discuss how to build up on the momentum gained throughout this project. Several projects for the future have been proposed and will be further explored. Everybody agreed that this meeting proved very successful and was a nice conclusion to a unique project. A "VT-2004 Final Report" will now be produced by the organisers of this programme. It will be announced in due time at the VT-2004 website and through other appropriate channels. Bulgaria - Veselka Radeva ( PPT: 10.8 MB) PDF: 2.2 MB) with associated MPEG movie (70.5 MB). Some photos of the event are available here. More photos will be added as they become available.